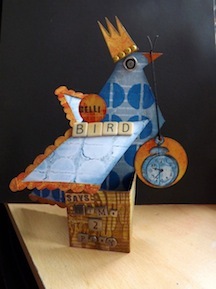 Ah, there is nothing like a little success when learning a new skill. I mentioned I was experimenting with various sock constructions and patterns, beginning while my MIL was here (and knitting like a crazy woman, even taking time out to help me) and carrying on after she left. 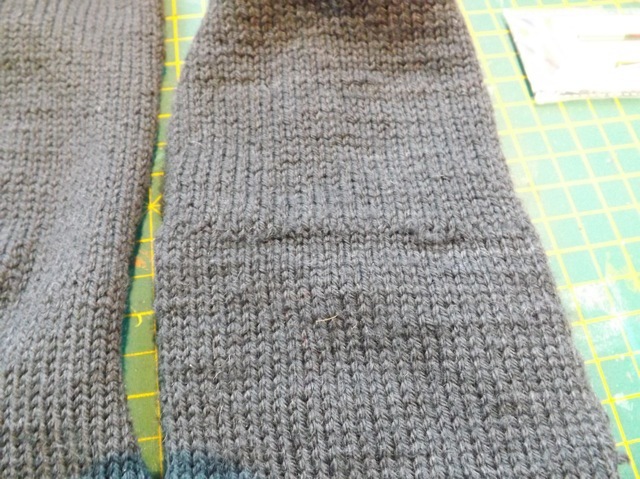 I have now completed the second sock of the worsted weight ones, my first attempt at the magic loop method. 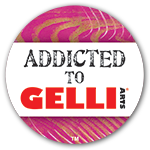 AND I AM WEARING THEM! They are cozy and comfy, perfect for around the house, slouchy and warm. But I have to show you a few shots. The first sock was not very good at all. Perhaps to be expected, but making one BAD ones helped me know when things were going wrong for the second one. 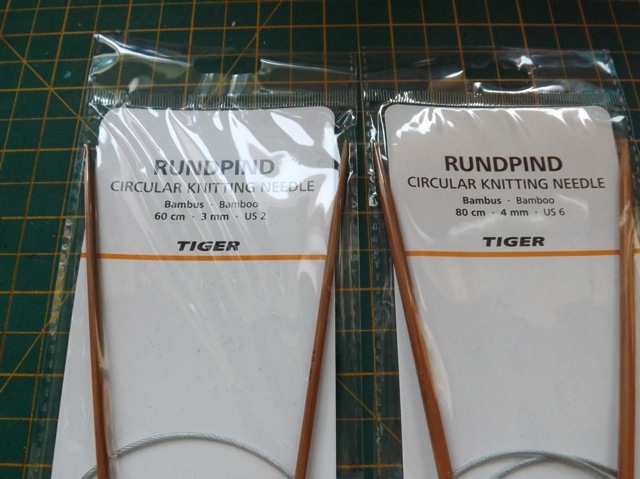 Let’s begin with circular needles – which ones you use matters. A LOT. The pattern is the one I linked to before. 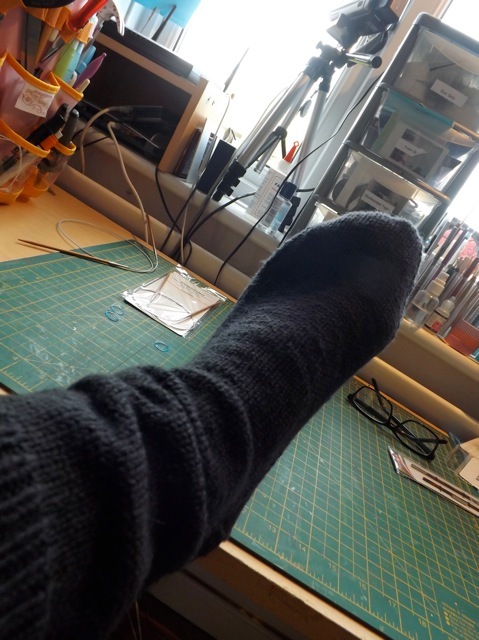 I don’t think it is meant to be a slouchy sock but maybe big feet and fine ankles makes that inevitable. The magic loop is meant to help avoid ladders. 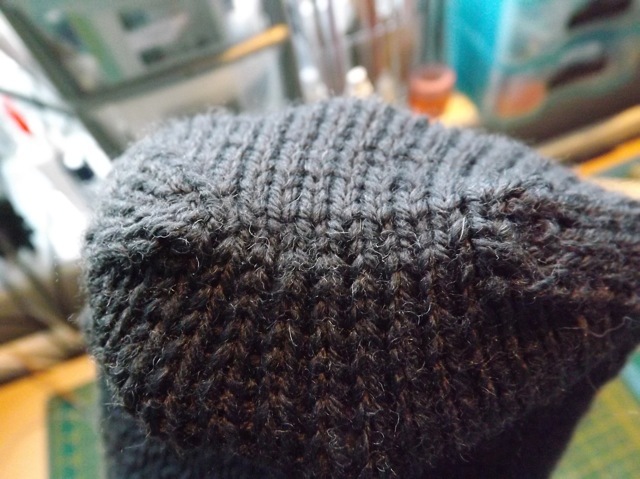 Well, the first sock was done on cheap Pony fixed circulars, and the cables were so rigid, I was tightening the intersection stitches so tight that I got a ridge rather than a ladder. 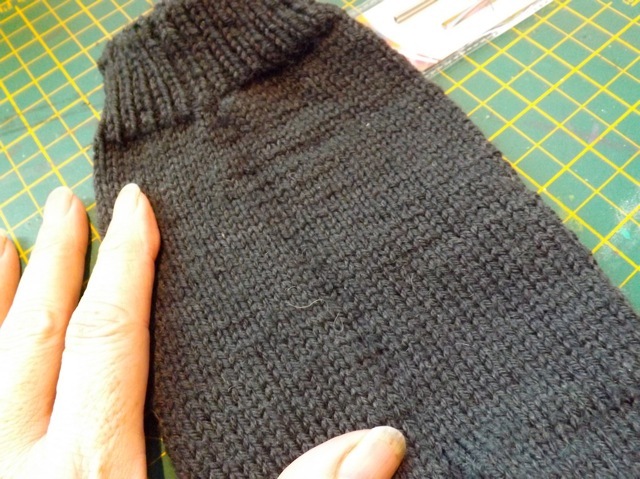 The 2nd sock I did on KnitPro interchangeable needles, and the transition between needles was much smoother. 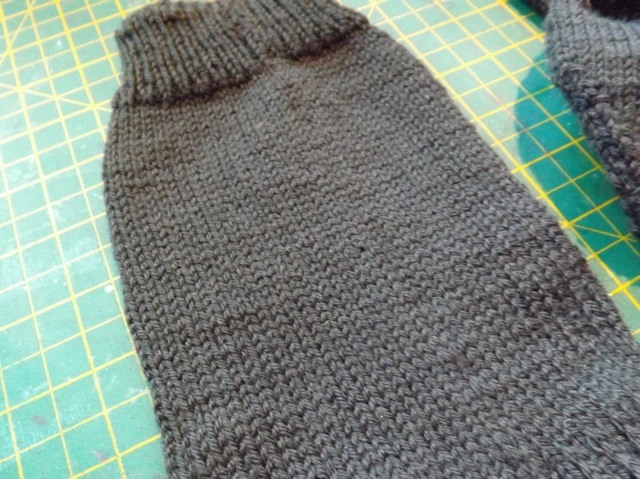 More noticeable in the ribbing than the body of the sock. 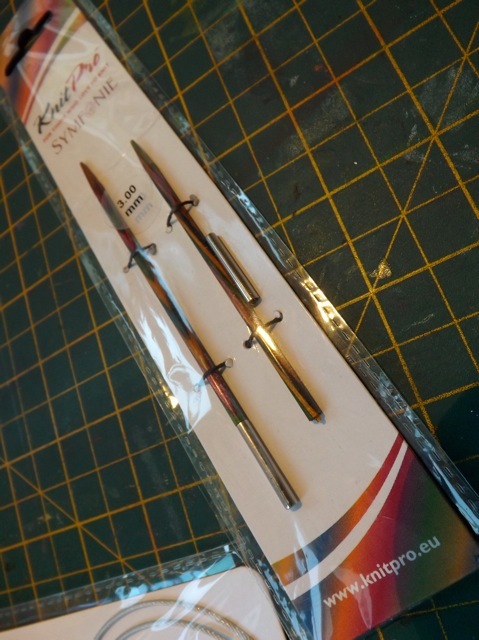 But the KnitPro’s snapped when picking up the gusset. Luckily I had a set of short ones the same diameter I was able to switch to. £2. Limited sizes, so the 3mm was only on 60 cm cables and the 4mm only on 80 cm cables but still. And the cables are really nicely joined and very flexible. 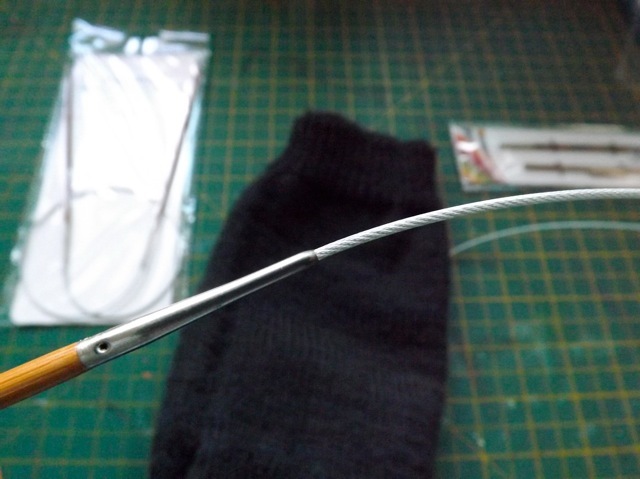 Looking forward to having a go at two socks on two circulars, at some point, but wonder if it can be as easy as the magic loop. What else? Ah. 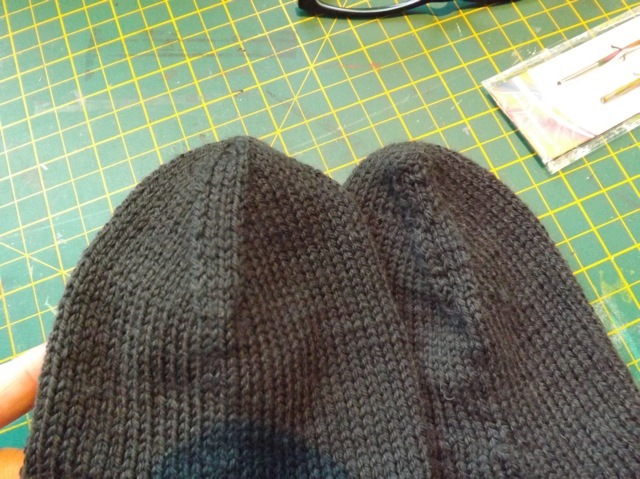 I had to rip back, and didn’t realize the stitches were twisted till much further on. Now I know what they look like, I can keep that from happening. And my paired decreases were a bit rubbish – I think the rigid cables were a big part of this problem too – just look at the difference! Again, I think I just pulled maybe a little tighter than required, and perhaps my hand inside is distorting it a bit. It really is very smooth. And on – lovely and cuddly, as noted before, a bit slouchy round the ankle. 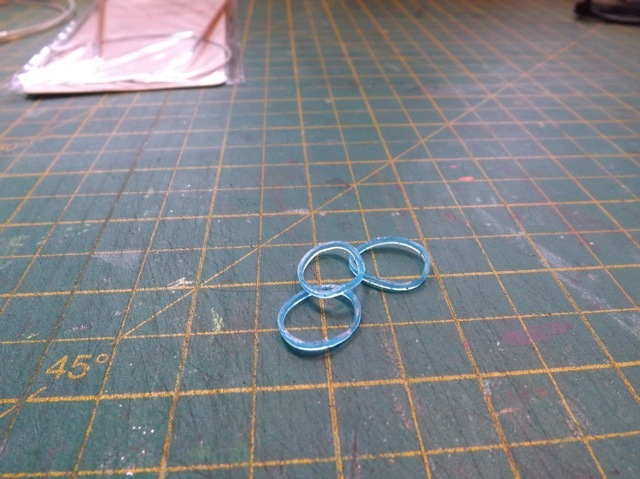 And I found a new stitch marker – not coded like the bead ones, but who has kids who DOESN’T have a gazillion loom bands kicking around? ?